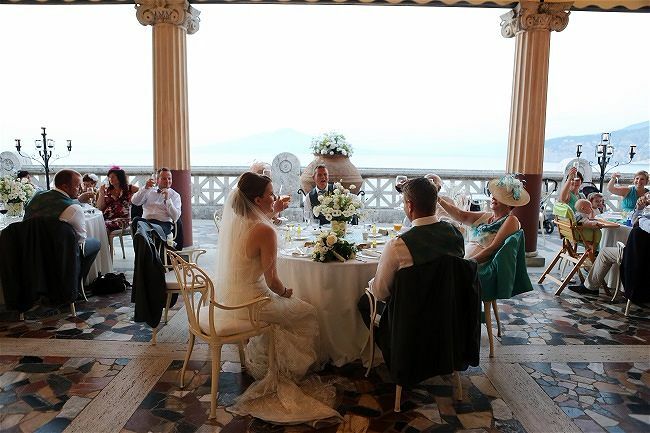 Situated in the heart of Sorrento, the Villa Pompeiana Terrace at the luxurious and elegant Bellevue Syrene Hotel has an unparalleled view of the Gulf of Naples and Mount Vesuvius in the background. 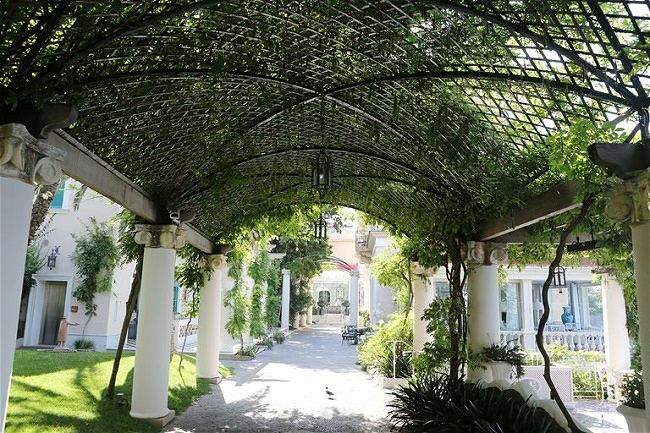 Katie and Sam were confident that having their wedding at this beautiful venue would create an unforgettable experience for both them and their guests. 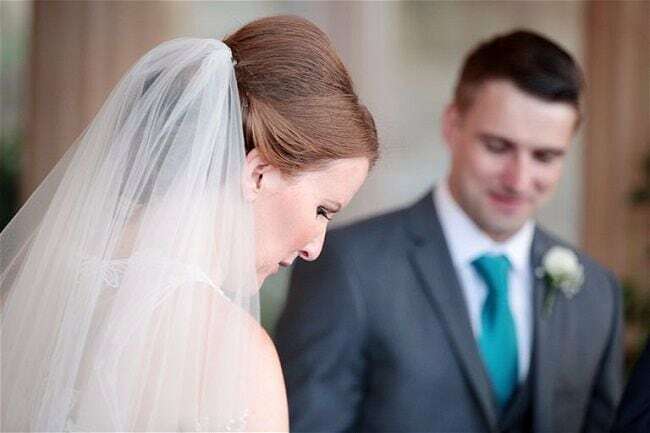 In Part 1 of Katie and Sam’s wedding story, Katie kindly shared the details of her wedding at the Bellevue Syrene Hotel. 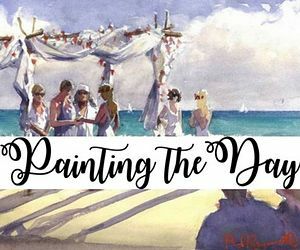 In this part, Jo Daye from Accent Events, provides an account of the couples wedding day and the events leading up to it. 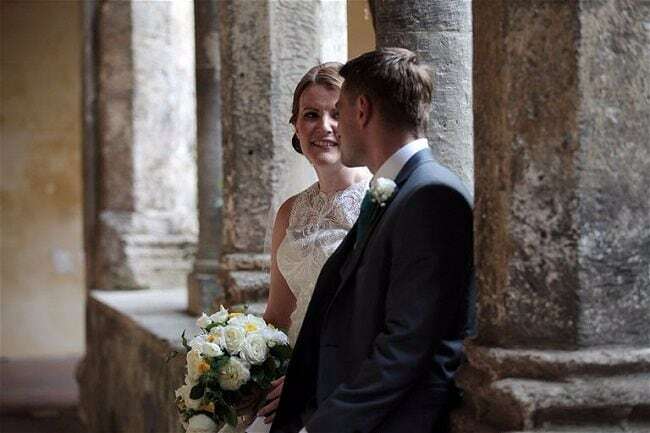 But before we hear from Jo we take a look the couple’s gorgeous wedding photographs captured by Italian destination wedding photographer Francesco Quaglia. I met Katie, Sam and Katie’s father Phil in London. Phil, it turned out, was going to be pretty instrumental on Katie’s wedding day so it was a bonus to have him at the first meeting. 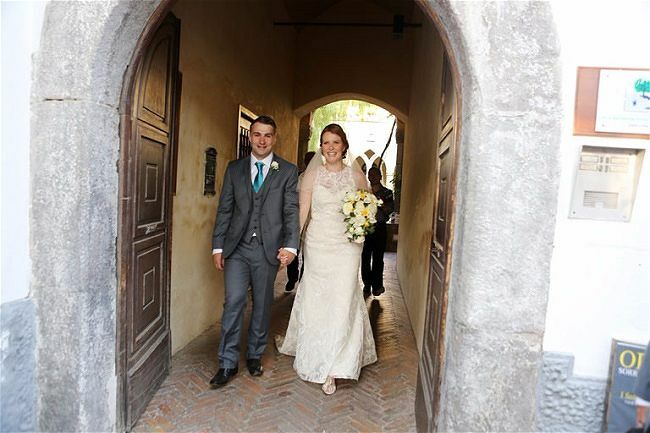 Phil clearly loves Italy and, having been learning the language for some time, welcomed the opportunity to practice his language skills while in Italy for the wedding. In fact, he even accompanied Katie to her hair trial – somewhere he did not think he would ever be speaking Italian! Katie and Sam were very relaxed about things. 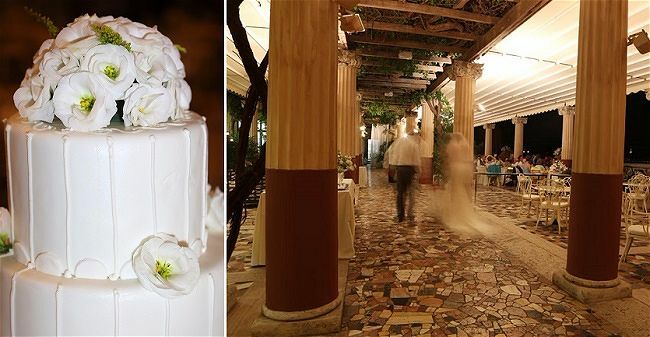 They knew their wedding was going to be small, but they wanted to do it in style – so they chose the lush and elegant 5* Hotel Bellevue Syrene, in the heart of Sorrento. A wedding at the Bellevue Syrene Hotel was clearly their top choice for their reception from the very beginning and the luxury did not stop at hosting their wedding reception there – Katie decided she wanted to make their time in Italy extra special for her and Sam and asked us to book one of the Bellevue Syrene’s high-end suites. It was our pleasure to do just that and “La Roccia” (the Rock Suite) was secured for 3 glorious nights in September. 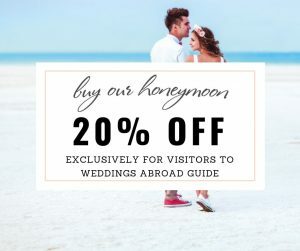 This unique, designer suite is a perfect choice for a bride and groom, offering an utterly magical experience – the suite is built into an ancient Roman cave, and has its own heated hydro-massage pool, a canopy bed and a private sea-view balcony. The spacious interiors meant that Katie and her three adult bridesmaids and two toddlers were able to enjoy getting ready together as well as allowing the all-important space for photographer Francesco, hairstylist Luisa and make-up artist Jimena to be in the suite, and at work, at the same time. 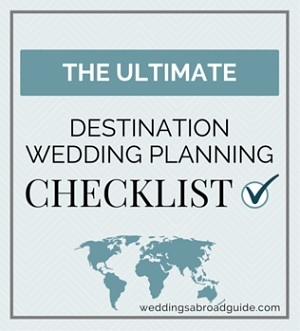 We created a carefully-timed schedule to ensure everyone was primped, preened and ready to walk the very short distance from the hotel to the Cloisters in perfect time for the ceremony. 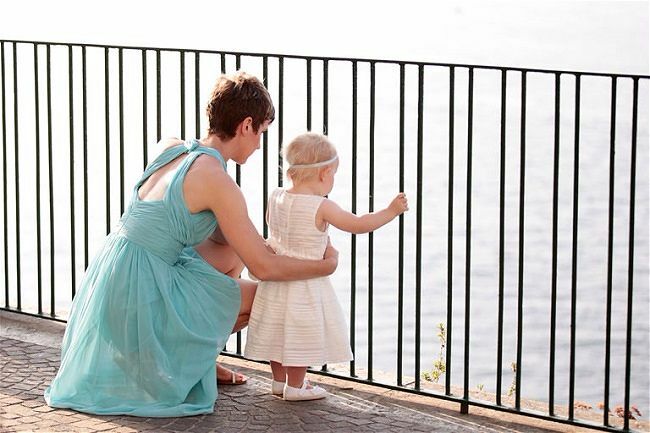 We thoroughly love receiving glowing feedback on those trusted wedding professionals with whom we work – Katie was absolutely thrilled with everyone and sent us a lovely email to say how much she had enjoyed her time with our team. In particular, Katie appreciated Francesco’s style of photography, especially during the getting ready shots, commenting that she felt completely at ease in his company and really enjoyed her time before the ceremony. 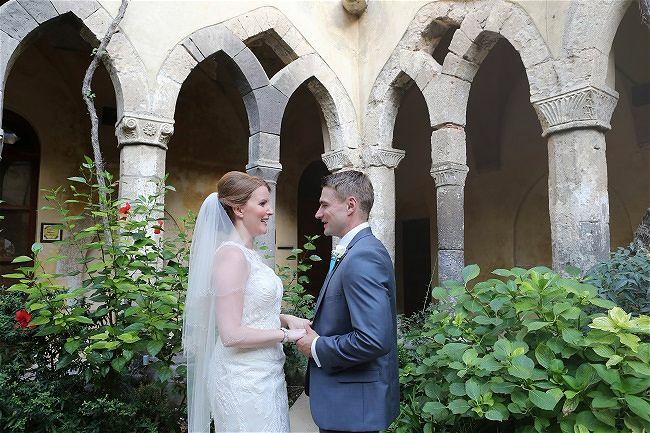 The Saint Francis Cloisters – il Chiostro di San Francesco – is a wonderful setting for a civil wedding ceremony. Part of a church and monastery complex founded in the 7th Century, the 14th Century Cloister blends differing architectural styles to wonderful effect. 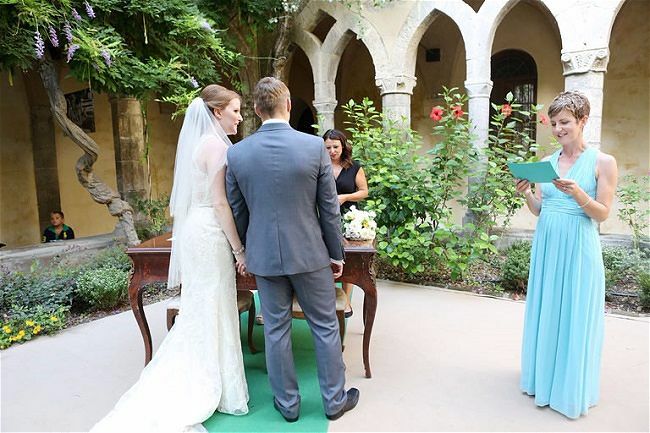 This utterly unique and charming setting, rich with flowers, plants and ornamental trees played host to Katie and Sam’s wedding ceremony. 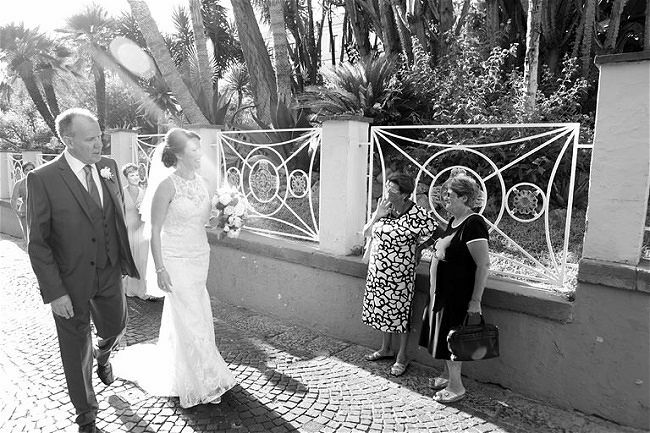 The wedding ceremony, celebrated in both Italian – by a representative of Sorrento town hall – and in English – by Accent Events’ civil wedding ceremony celebrant Carmela, was accompanied by a beautiful and apt musical arrangement provided by a traditional Neapolitan guitar and mandolin duo. 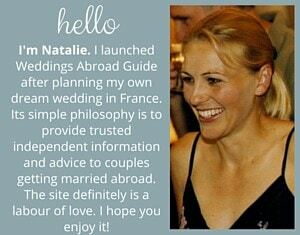 Our celebrant, who is based in Italy, first ‘met’ Katie & Sam via email. 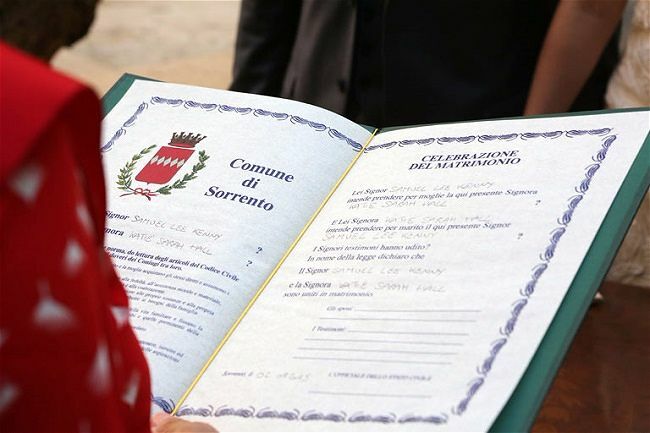 Carmela has a wealth of experience in helping couples to personalise their Italian civil wedding ceremony – which must have a certain legally-required format and content, but to which it is possible to add small personalising elements here and there to tailor the ceremony. 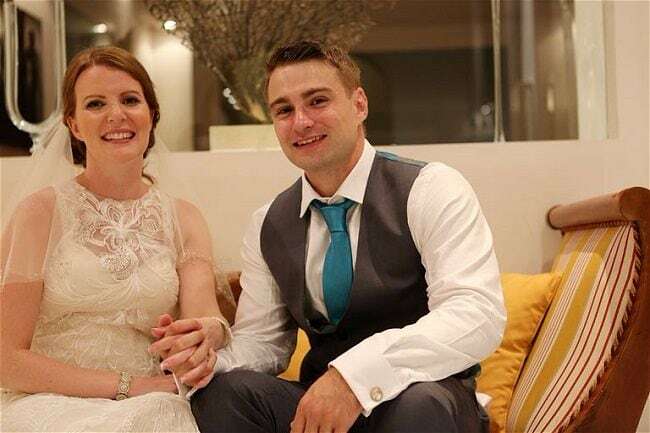 Carmela guided Katie and Sam by identifying the personalisable aspects of their ceremony and assisted them in choosing the most apt elements to tailor their wedding ceremony to their wishes. Katie & Sam chose to exchange some touching words as they exchanged wedding rings and to add a lovely and apt reading given by Katie’s sister Nicki. 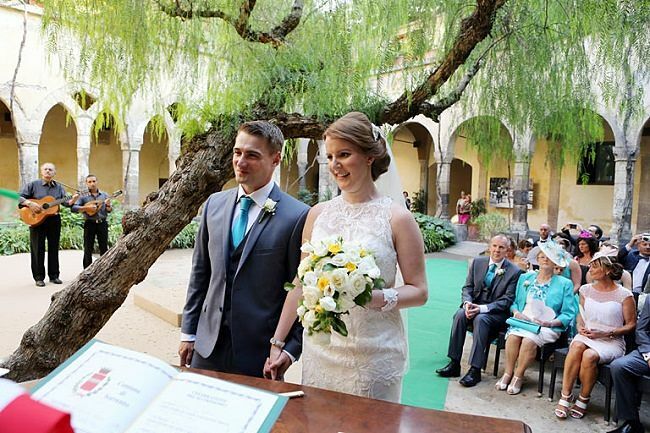 The ceremony was a very elegant event, perfectly suited to the charming and tranquil setting of the Cloisters. 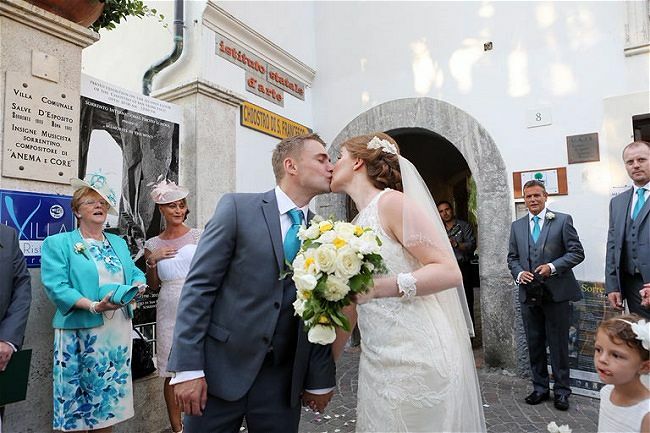 It was a beautifully sunny day – the perfect weather for a wedding in Sorrento – and this was reflected in the smiling, happy faces of the couple and their guests. Just one of the many lovely touches that Katie and Sam added to their wedding day to ensure their guests’ enjoyment was especially for the children. Katie and Sam asked that their musicians play Postman Pat – which the music duo learned and arranged especially for the occasion – this was an absolute favourite fun moment with the children…and with lots of the adults too! All of Katie and Sam’s guests were incredibly happy and had lots of fun, especially when another treat occurred…the arrival of the little train! 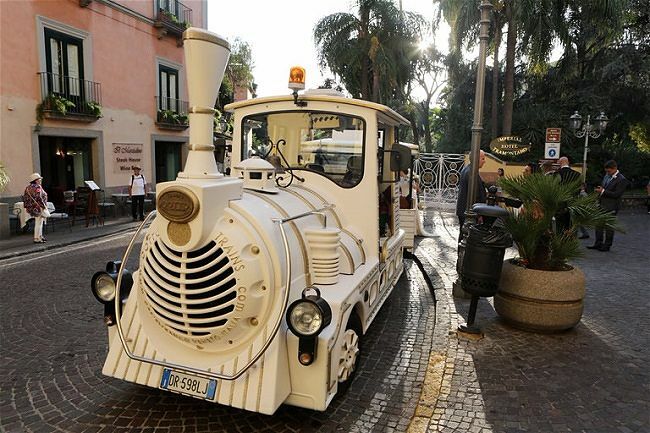 One of Katie’s special requests was for us to organise “Il Trenino (the little train). This was a very sentimental request born out of a childhood tradition in Katie’s family to ride a tourist train in all of the countries they visited. 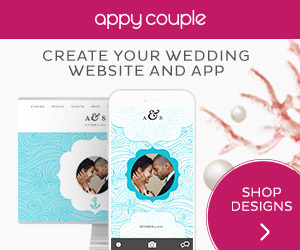 Katie wished to incorporate this into her wedding day, and – of course – we love making our brides and grooms’ wishes come true, no matter how unique or unusual…in fact the more unique or unusual the better, as we also love a challenge! 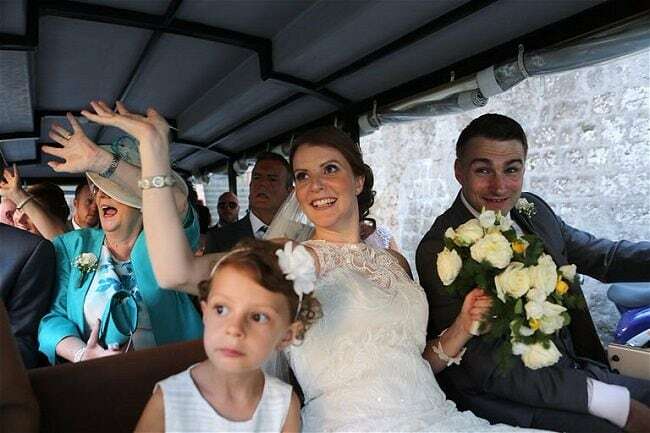 The lovely white Dotto train that gave Katie, Sam and their guests a whistle-stop tour of Sorrento was a lot of fun and was an absolute hit with both the older and the younger wedding party members. As they whizzed through the streets of the town tooting the train horn, the group were greeted with waves and cheers from locals and tourists alike! 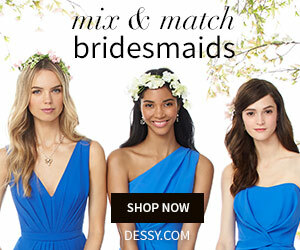 Such mini-wedding adventures and experiences create unique and unforgettable once-in-a-lifetime wedding day memories and that is why we love them so much! 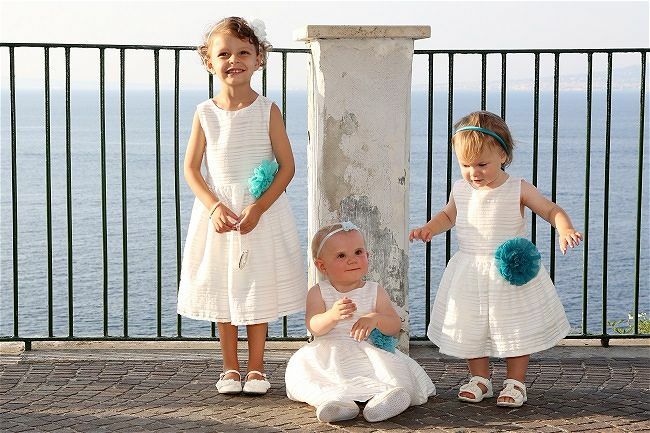 After their fabulous, fun ride, the Dotto train delivered Katie, Sam and their guests to the next stage in their wonderful wedding day events – the reception party at the Bellevue Syrene! 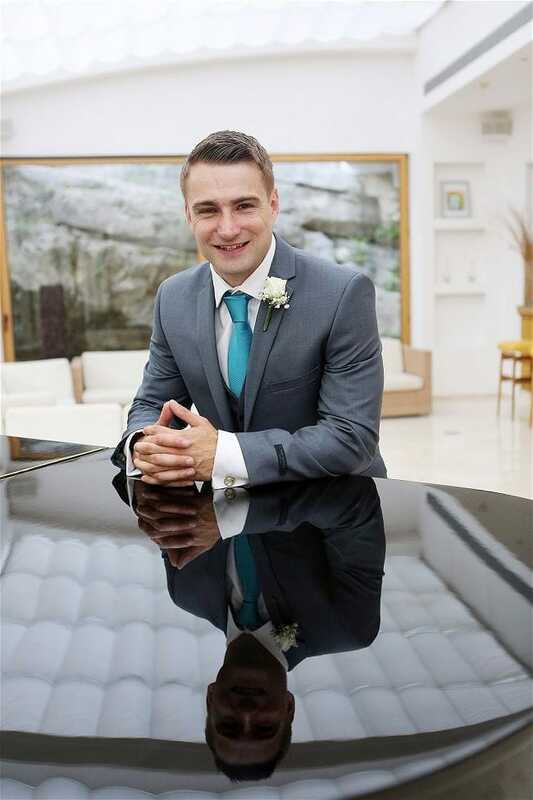 We worked closely with the charming Alessandra Di Conzo, the events manager at the Bellevue Syrene to ensure a flawless and faultless realisation of Katie and Sam’s wishes for their wedding at the Bellevue Syrene Hotel. To ensure the plans we had helped Katie and Sam to create came perfectly to life, we met with Alessandra in early Spring to go through Katie and Sam’s requests. 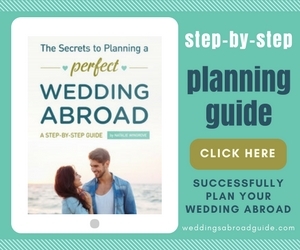 It was such a pleasure for us to work with someone like Alessandra who is meticulous in her approach and assisted us in ensuring that on the day of the wedding, everything came together seamlessly. 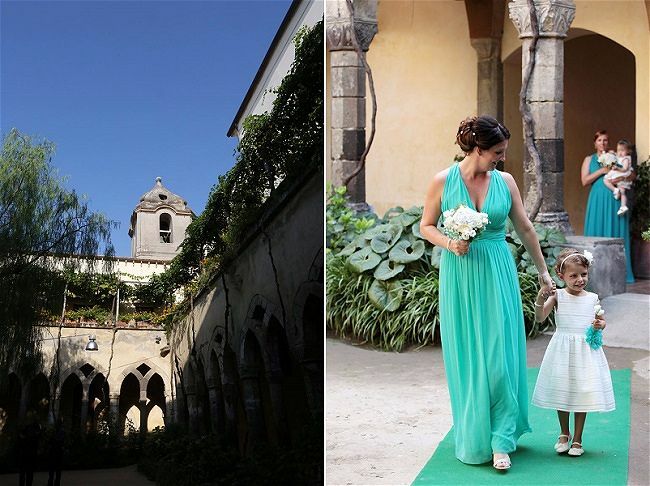 Not only did Alessandra look after the details, she was also a fairy godmother! 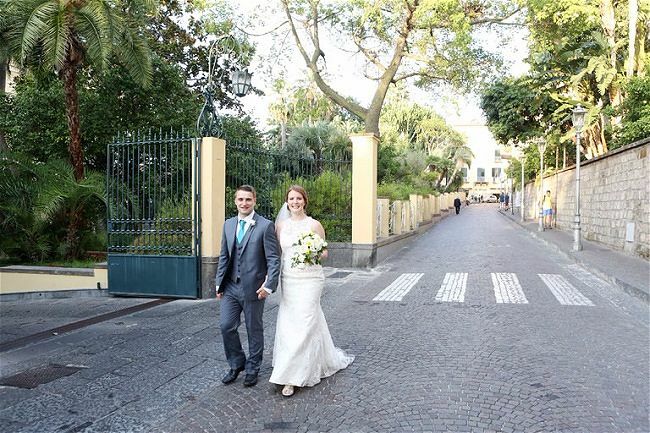 As it came nearer to the date of Katie and Sam’s wedding – thanks to a wonderful and long-standing relationship with the Bellevue Syrene – Alessandra surprised the couple by moving their reception from the beautiful Pergola Terrace to the totally luxurious and exclusive Villa Pompeiana Terrace, Wow! The early 19th Century villa that houses the Bellevue Syrene was built over the remains of a Roman villa. Willam Waldorf Astor built the Villa Pompeiana, inspired by the House of the Vetti in Pompeii, to evoke the Bellevue Syrene’s rich history. 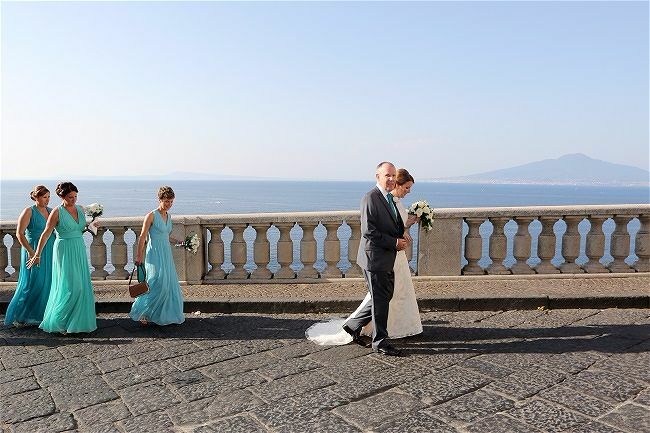 The beautifully decorated and expansive terrace, which offers breathtaking views across the Bay of Naples and Mount Vesuvius, offered the wedding party total privacy for the reception. 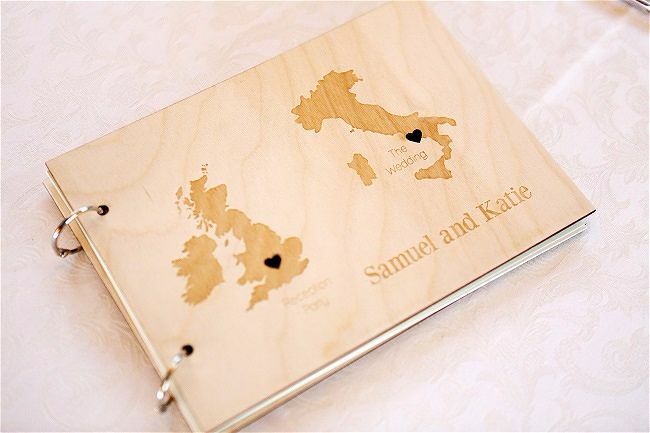 It really was such a thoughtful surprise for the bride and groom! 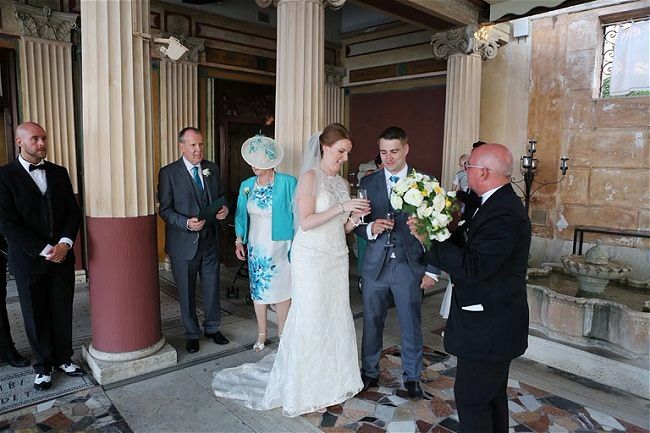 On arrival, the wedding party were greeted with flutes of champagne so guests could toast the happy couple. 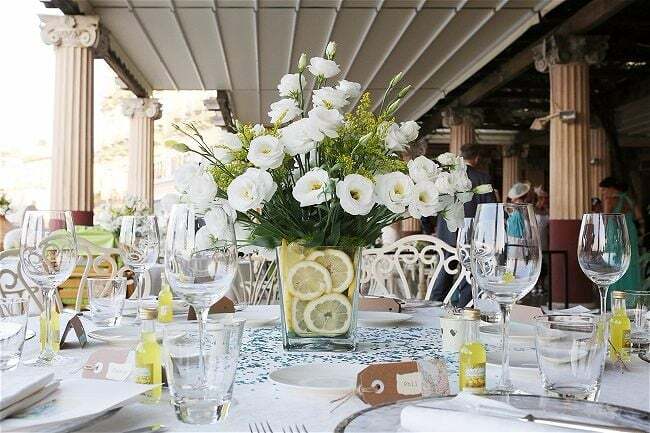 Guests were wowed by the Villa Pompeiana terrace with its charming aspect, delightful decorations and amazing views. During deliciously prepared and presented aperitifs guests enjoyed more musical entertainment from the guitar and mandolin duo. 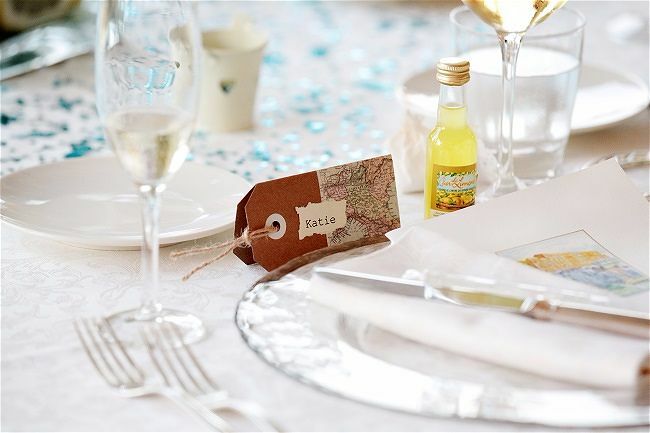 Guests were then invited to sit for the delectable wedding dinner at the beautifully prepared tables, decorated according to Katie and Sam’s wedding theme colours and wishes. 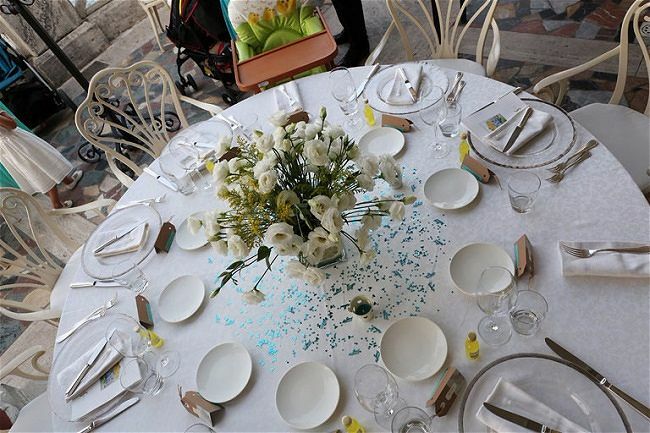 We just adored Katie & Sam’s colour theme – the shades of turquoise and blue were totally perfect for this coastal location, accented with the lemons for which Sorrento is famous. 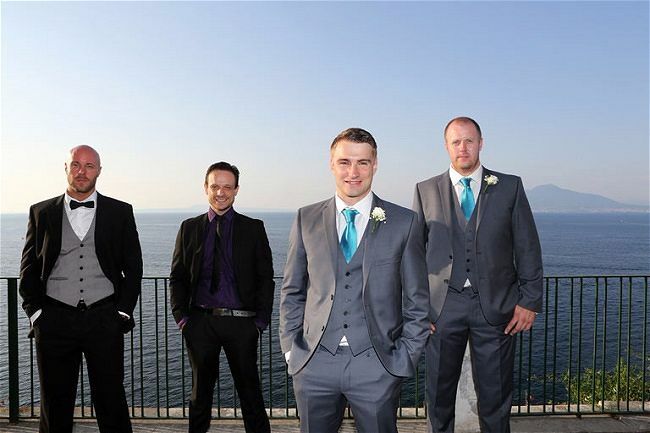 The bridesmaids’ dresses, the groom and groomsmen’s ties and the floral decorations, bouquets and boutonnieres were beautifully complemented by the Mediterranean seaside surroundings. 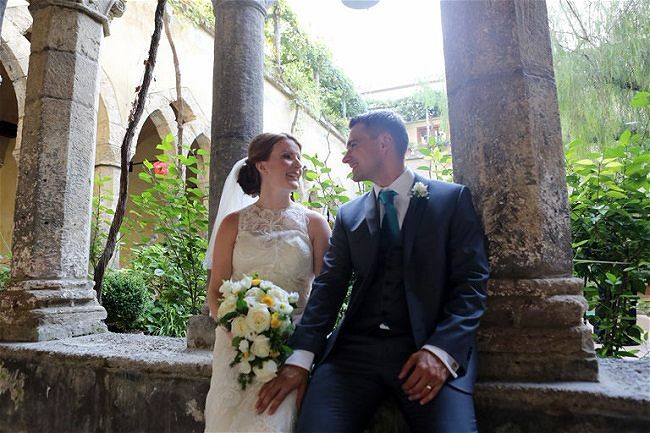 Katie & Sam’s reception ended with a personal play list of the couple’s favourite songs – Michael Bublé made an appearance – well his mellow tones wafted across the Villa Pompeiana terrace to be followed by Take That and Barry Manilow – what a vocal showcase! Then the pièce de résistance, the wedding cake (torta nuziale). The happy couple had deliberated over the flavours and fillings for their wedding cake. We suggested the option of a multi tier cake of different flavours so that Katie and Sam could indulge in their favourite type of cake including the flavours of Italy, lemons and limoncello, as well as a little caramel indulgence, thanks to Alessandra and the talents of the pastry chef at the Bellevue Syrene another dream came true. 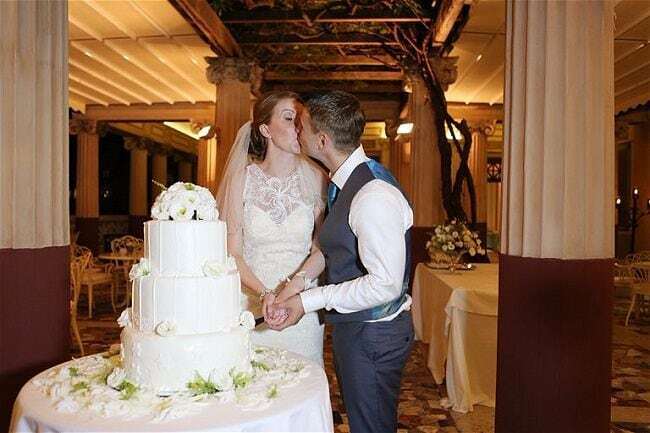 Katie and Sam had a deliciously sweet end to their Italian happily ever after! 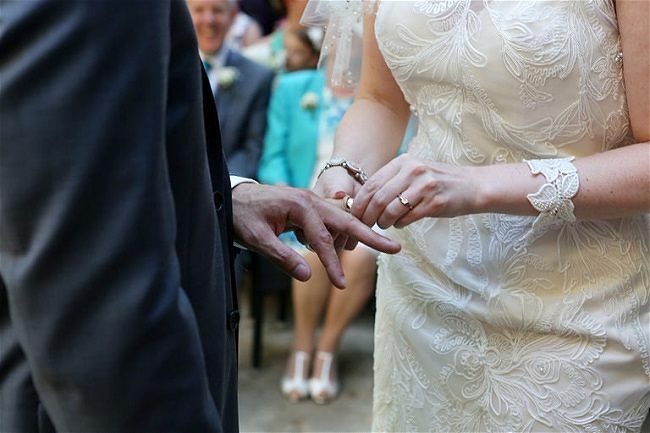 Don’t miss Part 1 of Katie & Sam’s wedding at the Bellevue Syrene Hotel. 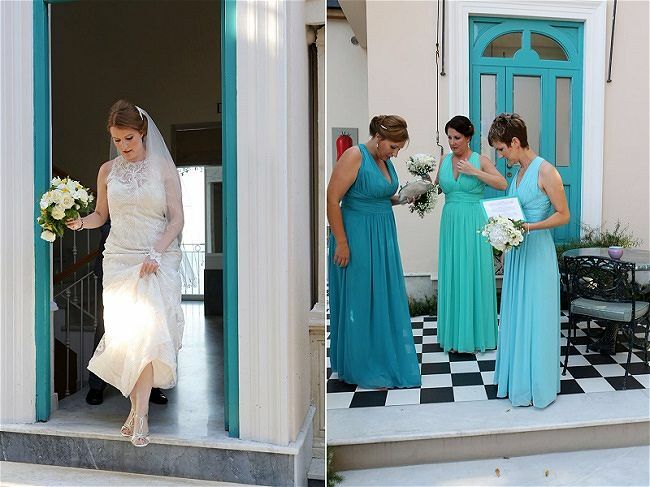 Katie takes us through the couples wedding day accompanied by gorgeous getting ready shots from Francesco Quaglia. 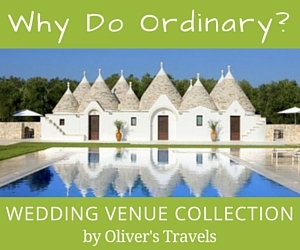 Find out more about having a destination wedding in Italy. 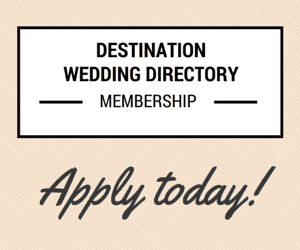 Accent Events is a member of the Destination Wedding Directory. 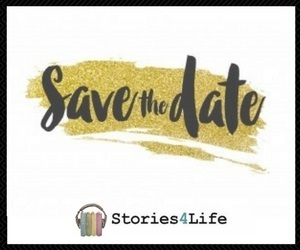 If you would like to find out more about having a wedding at the Bellevue Syrene Hotel, please use the form below as a quick and easy way to contact them.